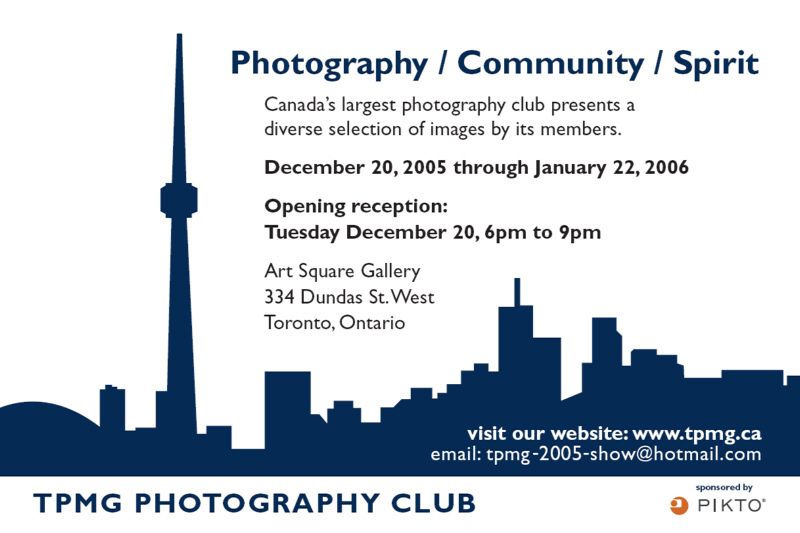 "Photography / Community / Spirit"
"Photography / Community / Spirit" will run from December 20, 2005 to January 22, 2006, at the Art Square Gallery, 334 Dundas St. West, Toronto. An opening reception will be held on Tuesday, Dec. 20, from 6 - 9 p.m. The public and the media are welcome to attend. The TPMG Photography Club is just over a year old - but it has grown remarkably over that time. With more than 650 members, it is now the largest photography club in the nation, and may well be one of the largest in the world. The club's members come from a wide range of backgrounds, and represent a myriad of different approaches to the art of capturing images. Some are professional photographers, armed with the latest digital SLR cameras. The majority are keen amateurs, pursuing photography out of the sheer love of the hobby. One thing they have in common is a desire to share their enthusiasm with other like-minded camera buffs - something the TPMG allows them to do on a regular basis. 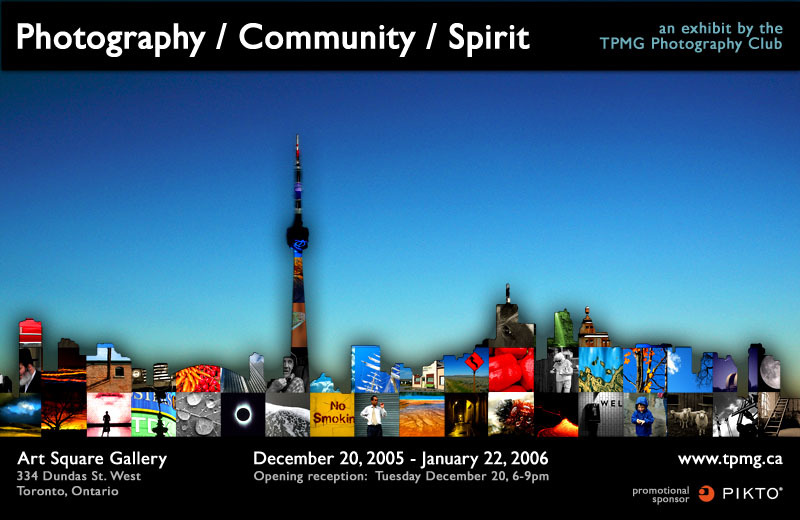 The TPMG Photography Club began life in the fall of 2004, with less than a dozen members. Since then, it has blossomed. It now holds weekly shooting events, monthly workshops and print swaps, and has done several out-of-town trips. Just in the last few months, the club has traveled as far afield as Algonquin Provincial Park and New York City, and many places in between. 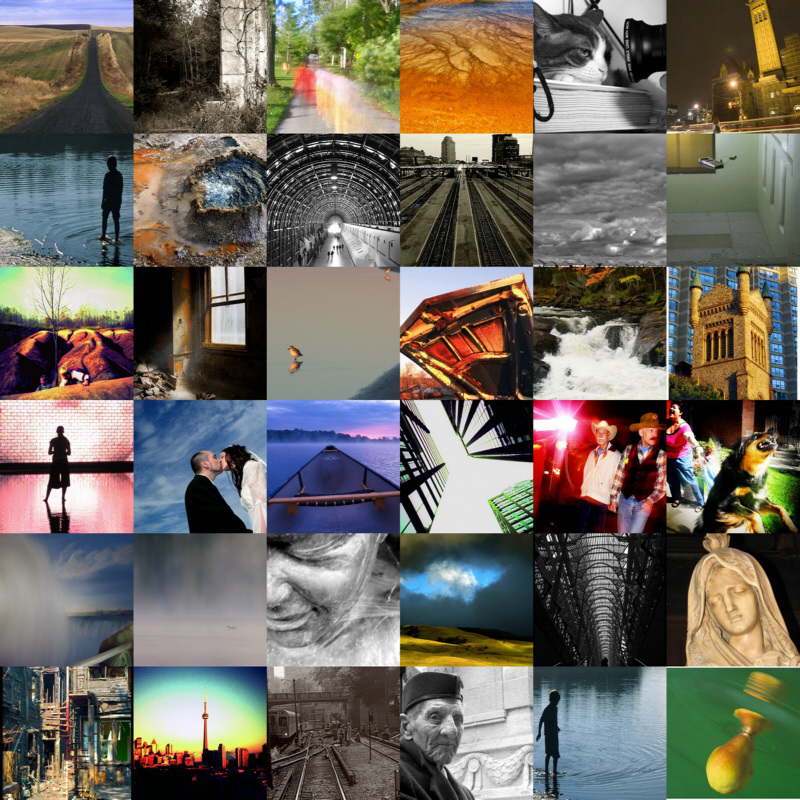 Some two dozen photographers are contributing to "Photography / Community / Spirit" - for some of them, this will be their first chance to show their work to the larger photographic community, in a gallery setting. 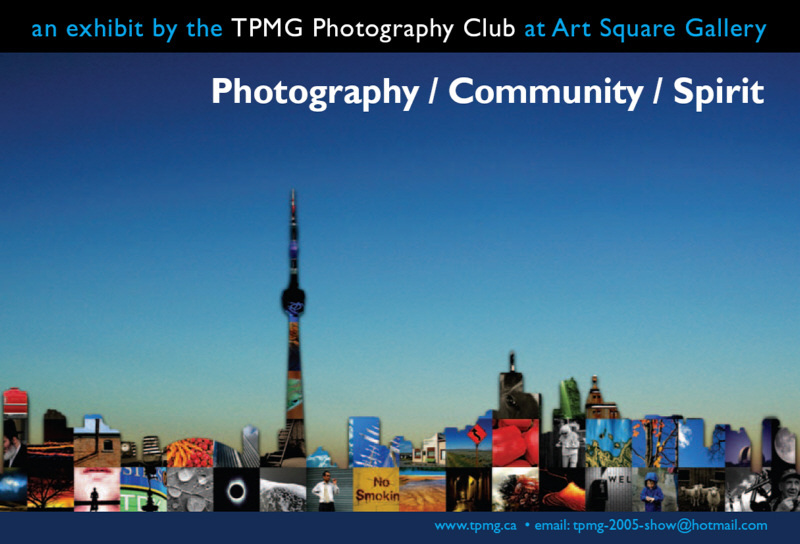 The acronym TPMG reflects the group's origins as the Toronto Photography Meetup Group, part of the popular meetup.com website, where club members continue to exchange information and post announcements. As initiator and one of the organizer doing my first and the club's first gallery exhibition has been less fun then I had hoped. 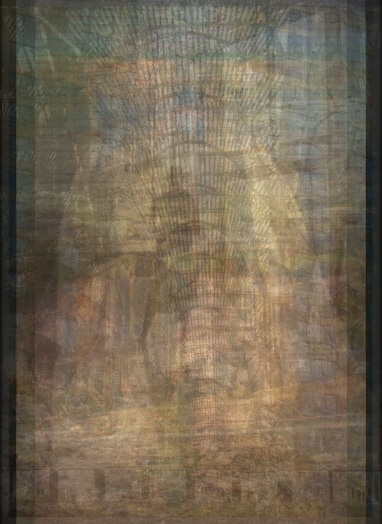 But I know the end result will be worth the effort, the exhibition is going to be great. I'm really looking forward to seeing the photographs in this exhibit!